McLean, VA — August 14, 2018 — BackOffice Associates, the worldwide leader in information governance and data stewardship solutions, today announced that it has appointed Dave Spencer – former Chief Operating Officer of SAP North America – as its President of North America. 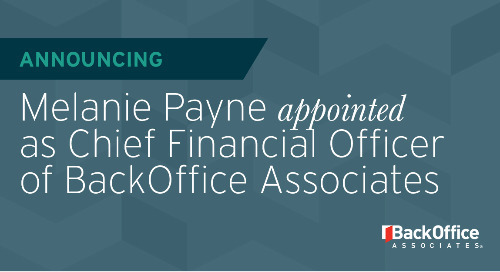 In this capacity, Spencer will spearhead BackOffice Associates’ sales go-to-market strategies for its comprehensive data governance, quality and migration software and professional services solutions. He will also drive the company’s overall revenue growth and partnership initiatives. Spencer most recently served as Chief Operating Officer for SAP North America, where he was responsible for developing and executing SAP’s go-to-market and sales strategies for more than 22,500 employees and over 158,000 customers across the U.S. and Canada. He was also instrumental in driving SAP’s increased market share for its fast-growing cloud business. Spencer joined SAP in 2006 and has held a number of key management and executive sales positions, including serving as managing director and chief operating officer, respectively, for the East region of SAP North America. Prior to SAP, he served in sales leadership roles at companies including Ruesch International (acquired by Travelex), Gelco Information Network (acquired by Concur) and Moore Business Forms & Systems. Spencer will be based out of the McLean, Va., BackOffice Associates office.